We create a membership and a fitness experience designed around you. Our philosophy is based on join one, join them all. 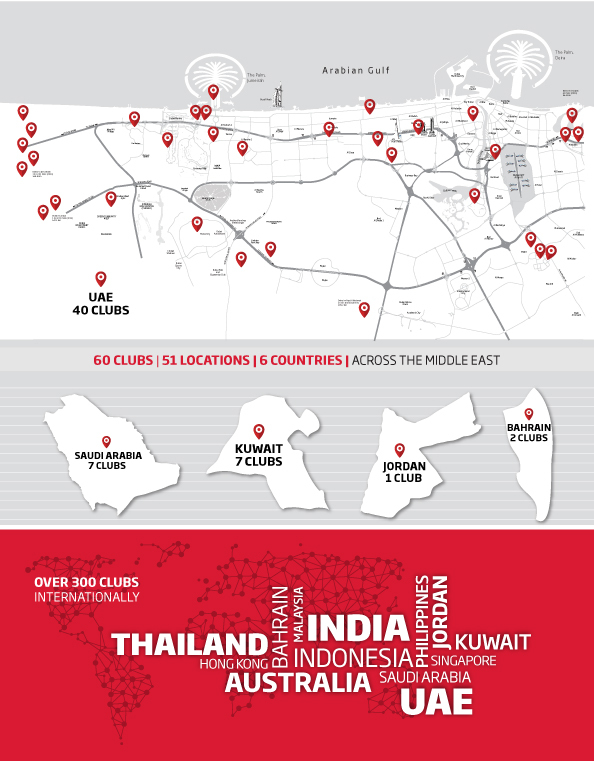 So when you join us, you will have access to all our clubs in the Middle East and partnered clubs internationally. Flexibility is key that's why we also have flexible monthly plans created and a flexi one-time payment option.Simply join for as long as you want. 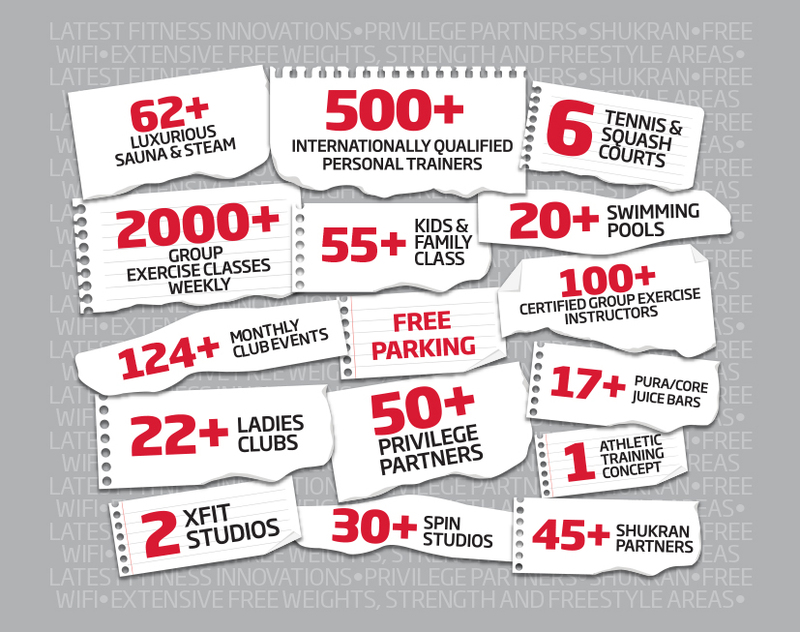 Get ACCESS to ALL our Fitness First clubs in the UAE, across the Middle East and International Passport access. Get Wide range of CHOICES with our wide variety of training programs and fitness experiences and access to ALL these benefits which includes free towel service, free WiFi access, complimentary tea and coffee, swimming pool, squash courts, steam and sauna, discounts with our partners, your Get you Started program with our trainer and as many group exercise classes as you would like to attend. • Please note club access and price of the membership may vary for Platinum and Titanium membership. Contact ours clubs here to know more.